July 2017 If the message doesn't display, open it in browser. Since signing the contract for our partnership with the European handball family, we have been actively involved in all things handball, and can hardly wait for the Champions League to begin this coming September. Until then, here is some information about what has been happening. Gorenje was recently at the initial workshops arranged by the organizers of both the EHF VELUX Champions League and EURO 2018, and will soon produce the official manual for the Gorenje Group, which details the use of sponsorship material for promotional campaigns. 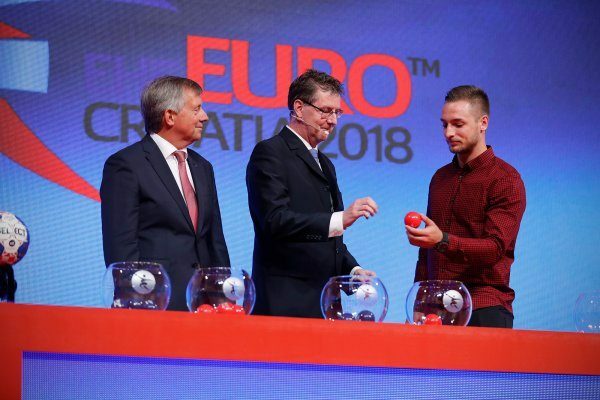 After the official signing of the contract, Gorenje was in Zagreb for the drawing of the groups for EHF EURO 2018, and we were also there with our first on-site activation effort. Images of the exhibition space and some official photo material are available on Mabagor. Early July also saw the draw for the EHF VELUX Champions League in Ljubljana. Both of the draw events provided information on when and where the teams will be playing. We are now preparing the official manual for the markets on the use of logotypes and the production of other sponsorship-related materials, all of which will be available to you by end of July. We will be happily sharing all the information also for promotional campaign. The focus for the 2017/2018 season is on EHF EURO 2018, which will take place January 12–28, 2018, in Zagreb, Croatia, and on the prestigious Champions League Final 4, which takes place each year in May in Cologne, Germany. We also have some promotional materials available and will share it with you as soon as possible. Looking forward to the coming season, together!